With its rolling hills, forests, and vistas of ocean blue, Denmark is truly a spectacular place to host a wedding. 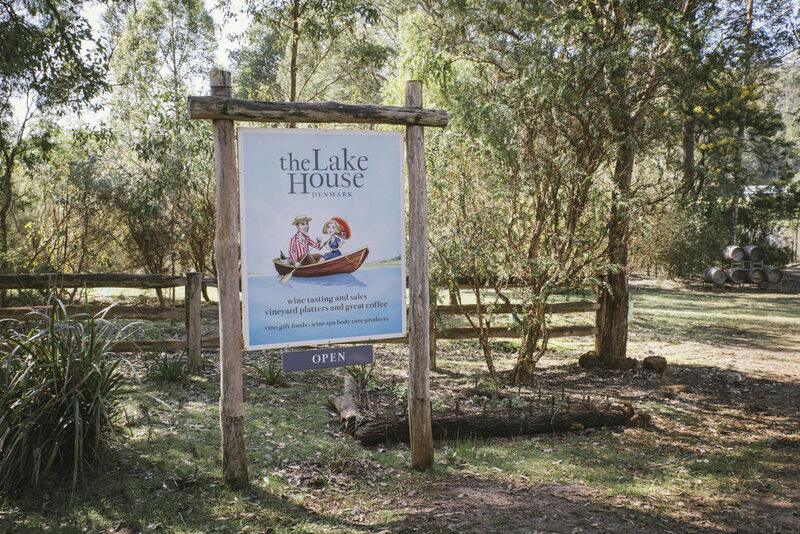 So I was very excited when Justin and Hannah announced that we'd be travelling south for their big day, to be held on the grounds of The Lake House in the hills just out of town. 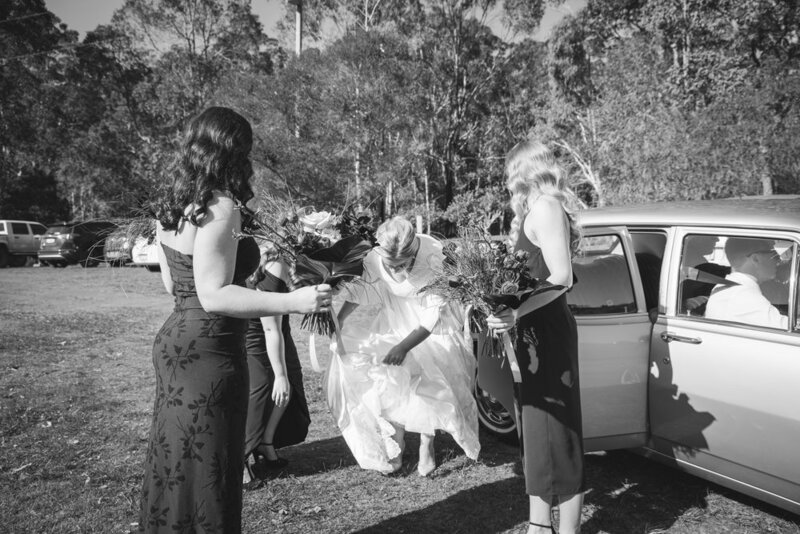 And I was even more excited to discover that Hannah was adapting her Mum's wedding gown into her own, especially given I had photographed her Mum in it 8 years previously. And then, as if that wasn't enough to get me pumped, I discovered that she'd be arriving in her Dad's HK Holden, and the jokes were on - being a fellow HK owner, I was warned not to take too many photos of the car (unless the B&G were also featured!). 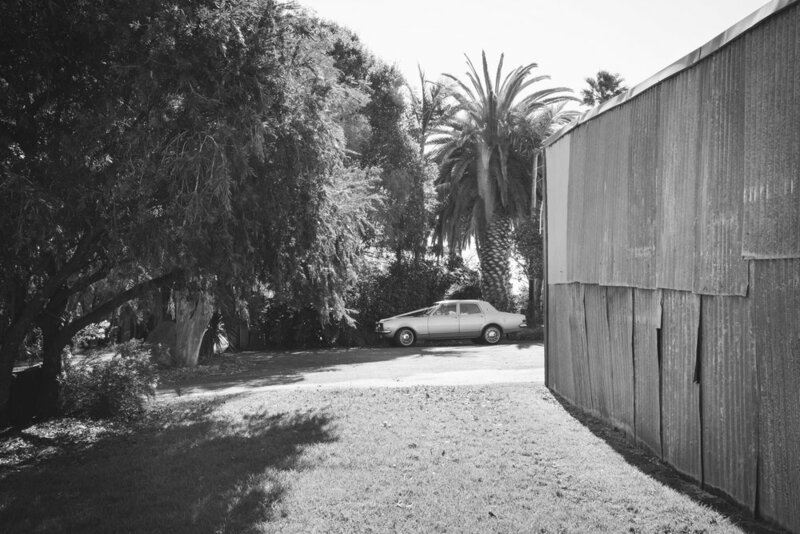 So I behaved myself as best I could, but I did manage to sneak this first shot in, because, well, who can resist a Holden parked under a date palm beside a farm shed?! 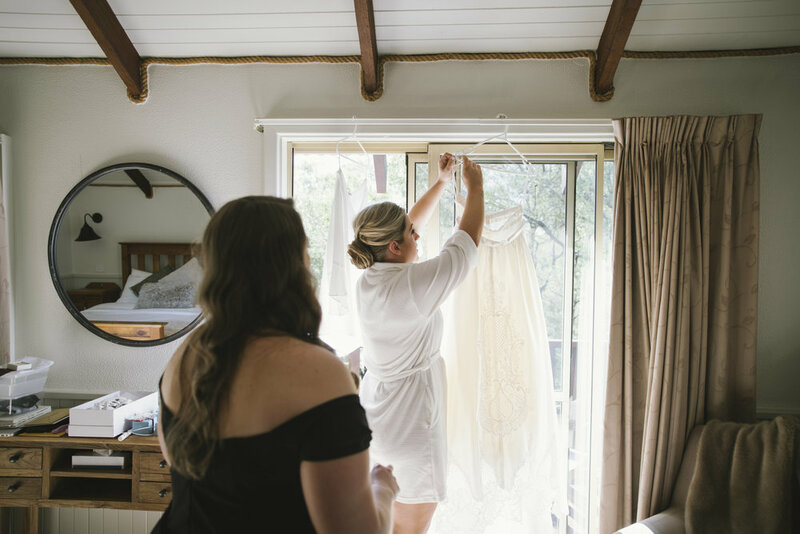 So many highlights from this special day, and even though I'm still buried in editing, I thought I'd share some of them with you now, because let's face it, we all love to see pretty pics in the days following a beautiful wedding. All cred to the following vendors for helping make it what it was. 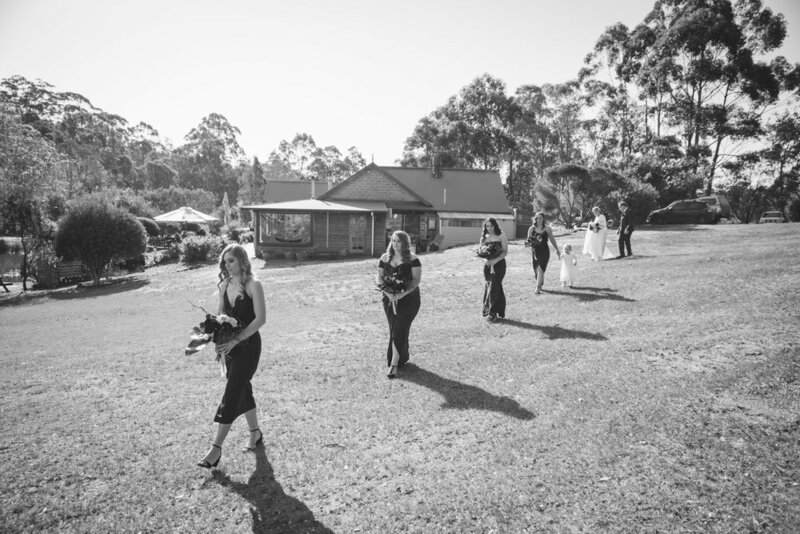 The Lake House (venue), Anna Jane Celebrant (celebrant), Albany Event Hire (marquee), Starfish Lane (invitations), The Floral Folk Co (flowers), Entice Food Co (cake), Kate Samiotis Hair (hair), Makeup By Carissa R (makeup), Elvi Design (dressmaker), and Ferrari Formal & Bridal (suits). 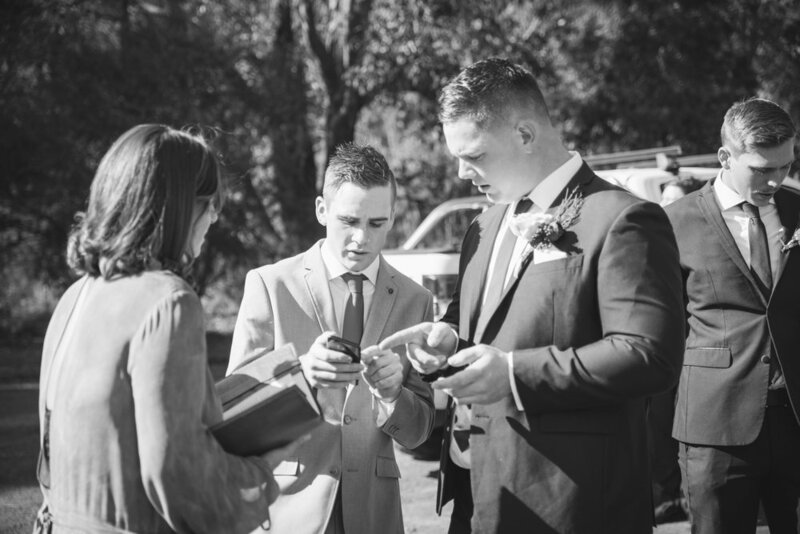 Congratulations Justin and Hannah, and thank you so much for asking me to share your beautiful day with you.